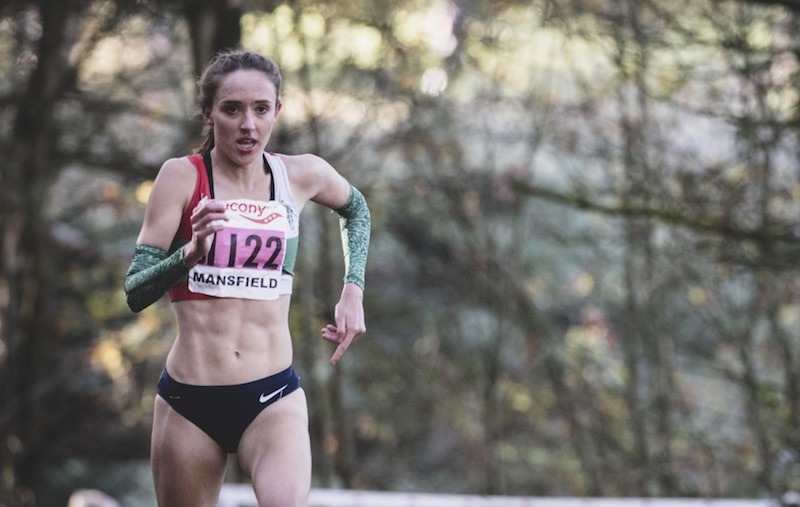 The English Cross Country Relays and the Leeds Abbey Dash were the standout races this weekend (Nov 4-5), but there was also fast times in Cheshire 10K and the Stretford parkrun. 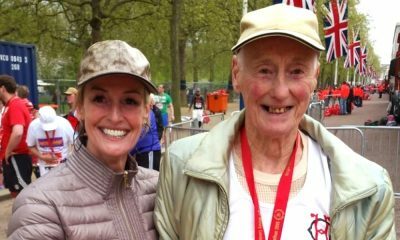 Let’s recap on this weekend’s running highlights across the UK. English Cross Country Relays, Berry Hill Mansfield, Saturday 4th November. Tonbridge AC and Aldershot, Farnham and District won the senior English Cross Country Relays in Mansfield on Saturday. In exciting final lege battle Chris Olley of Tonbridge and Jonny Hay of Aldershot who went head to head. Hay who led Aldershot to victory in 2016 couldn’t quite replicate that feat as Olley kicked to seal the title for Tonbridge. Hay secured the silver medal ahead of Shaftesbury Barnet’s Phillip Crout to complete the Men’s podium. Emelia Gorecka established a lead for Aldershot in the senior women’s race in the second leg. Emily Hosker Thornhill then had the task of holding the lead over the final 3km. Like in 2016, she ran a superb anchor leg and ensured the victory went to Aldershot in an overall time of 29:48:05. The race for silver and bronze saw Leeds City go one place better than last year as Lucy Crookes held off Charnwood’s Juliet Potter in the final stages. A full report and fastest legs can be found here. In favourable conditions (at least for the North West of England) Arley Hall staged another successful edition of the increasingly popular Cheshire 10K. Held twice a year the course fairly flat, which has previously seen Matt Clowes post 29:29 and Helen Clitheroe 32:44 respectively. Both Clowes of Cardiff AAC and another previous winner, Moh Abu Razeeq of Altrincham AC returned to battle it out on Saturday. Clowes was the victor with another brilliant sub 30-minute time, crossing the line in 29:44. Abu Razeeq followed in 30:22 after a close finish with another Cardiff AAC man Carwyn Jones just two seconds behind in 30:24. Jessica Piasecki (nee Coulson) was the clear winner in the women’s race crossing the line in 34:44. After an injury-stricken period, it is great to see the 2012 European under-23 cross country champion back performing on the roads. With a 32:41:59 best over 10km and a 71:36 minute half marathon to her name, the Stockport athlete was never troubled on Saturday. She led from the start, with the nearest rival Rachel Jacks of Southport Waterloo AC a distant second in 40:14. Rachael Gavin was third in 42:33. Parkrun’s latest initiative to trial the free event within a prison launched on Saturday. The ambitious idea aims to help effort mental, physical and social health amongst in-mates. With the first event held in HMP Haverigg, Cumbria, it could have been easy to miss the results from further south at the Stretford parkrun in Manchester. Tom Lancashire (Bolton Harriers) and Gavin Hill (Sale Harriers) both went under 15 minutes. By the close times, it looks like the pair had a good battle to push each other to 14:42 and 14:48 respectively. 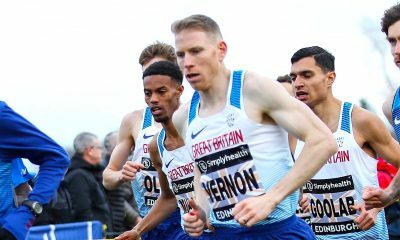 In a star-studded line up on a Saturday morning, the second Olympian in attendance, Michael Rimmer finished third with 15:21. 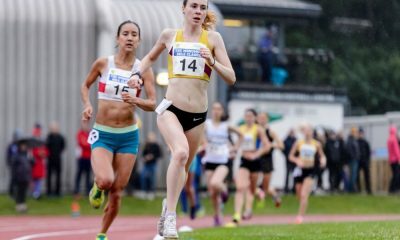 Eilish McColgan and Sam Stabler won the Leeds Abbey Dash on Sunday. McColgan, the winner in 2016, retained her title and set a course record crossing the line in 32:05. Emma Mitchell finished second to McColgan with 32:51 to break the Northern Irish record. Stabler won impressively in a high calibre field with a time of 29:13. 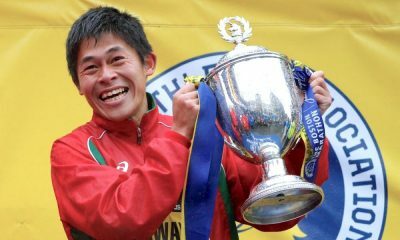 Known for his ability on the cross country terrain the 25-year-old has now started to transition those fast times onto road and track. A full report and details on sub 34-minute women and sub 30-minute men can found here.